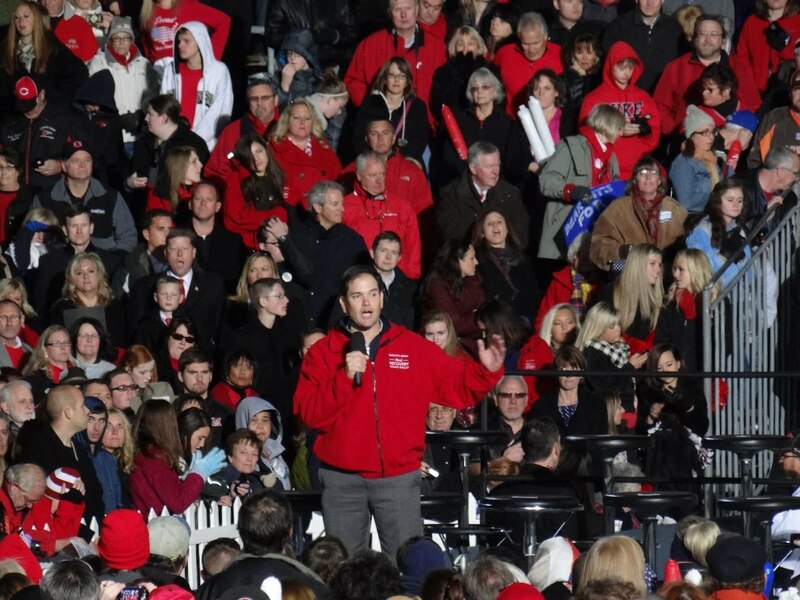 The presidential race returned to Ohio for the final push Friday as GOP challenger Mitt Romney held a massive rally in the Republican heartland north of Cincinnati and President Barack Obama cut a swath through central Ohio. 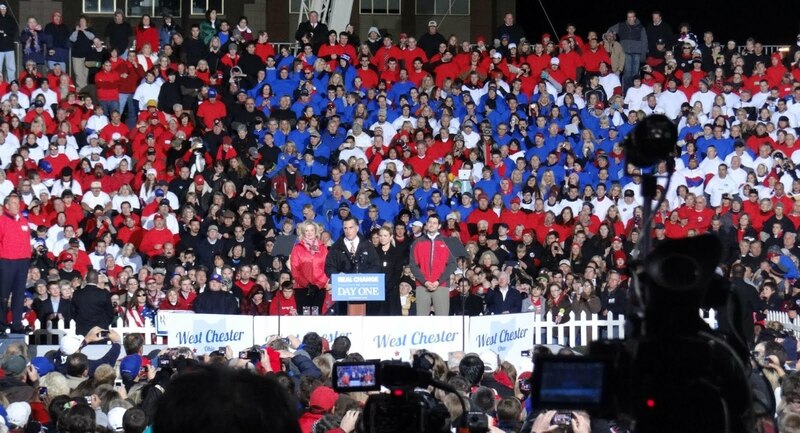 Romney spoke to a crowd of 30,000, according to West Chester Fire Chief Tony Goller – making it the largest rally of the campaign, said Romney spokesman Chris Maloney. With new numbers showing the unemployment rate had ticked up to 7.9%, Giuliani said the Obama administration should be “ashamed of themselves” for framing the figure as a positive sign. . . . The former mayor, who also ran for president in 2008, pivoted to Romney’s business experience, saying it should be considered a strength and blasted Democrats for making it a target on the campaign trail. “They tried to humiliate him because of that. 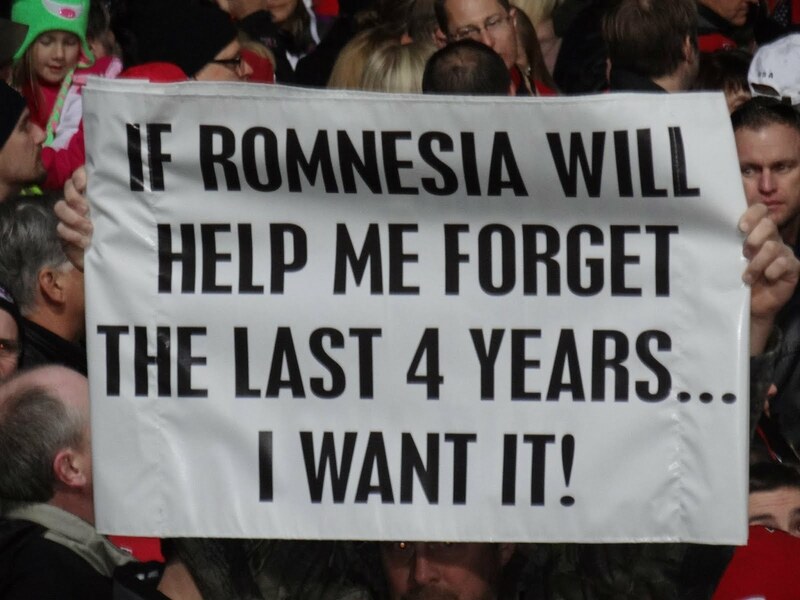 You know something, if Governor Romney can have the success for America that he had for Bain Capital, Thank God! 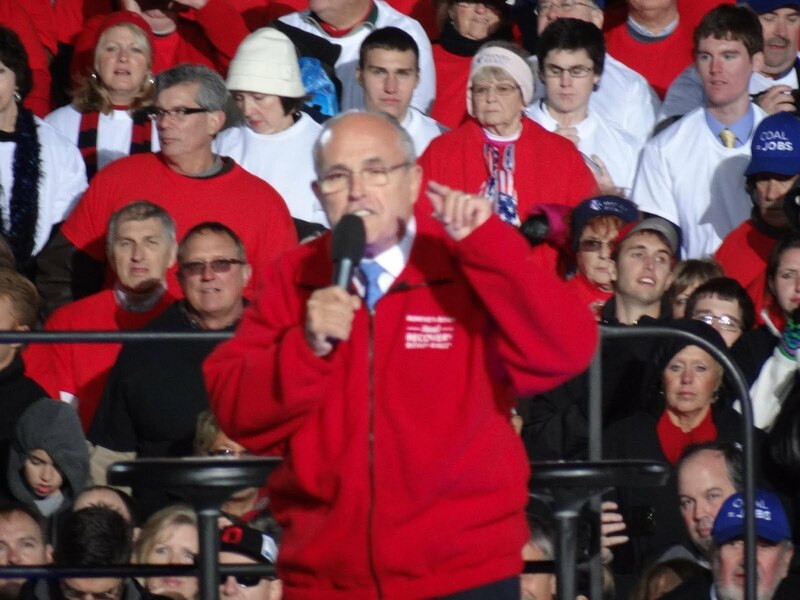 Our people would be working again,” Giuliani said . . .
Giuliani received perhaps his biggest applause of the night when he focused on the Benghazi consulate attacks, which killed four Americans, including the U.S. ambassador to Libya, in September. . . .
“Maybe if we had a president who was paying attention, we wouldn’t be going through all this investigation of what’s being covered up about Libya,” he said. 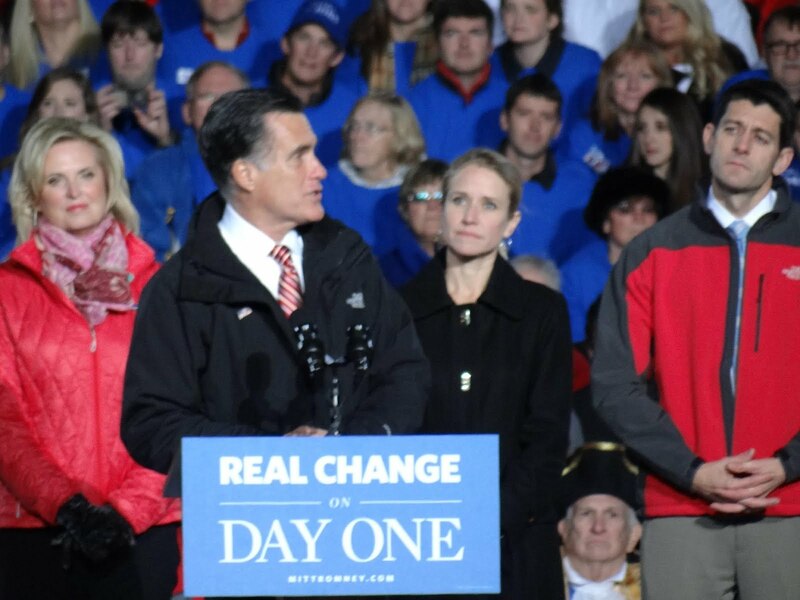 The Next President of the United States, Mitt Romney. America’s Comeback Team takes the stage in West Chester. 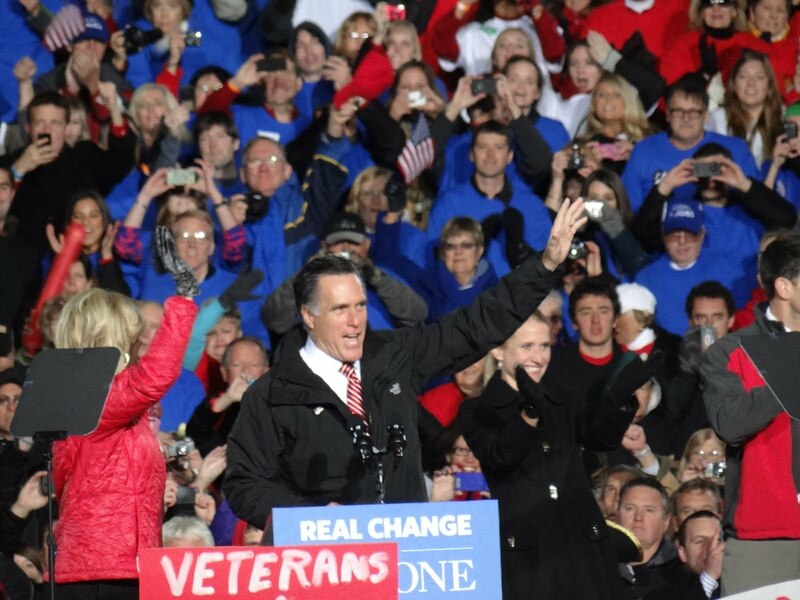 Mitt Romney greets the cheering crowd. 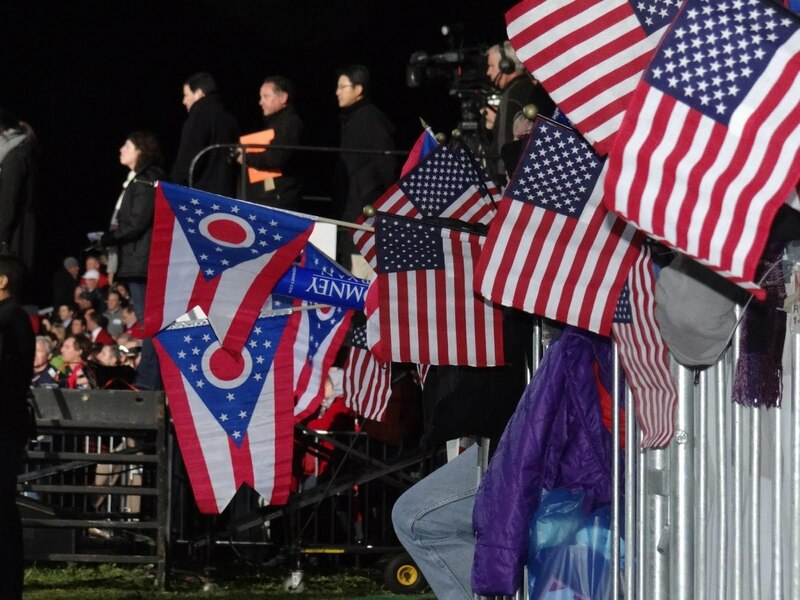 Supporters wave Ohio and U.S. flags over the crowd-control railing. America’s Mayor, Rudy Giuliani, slams into Obama’s record of failure. 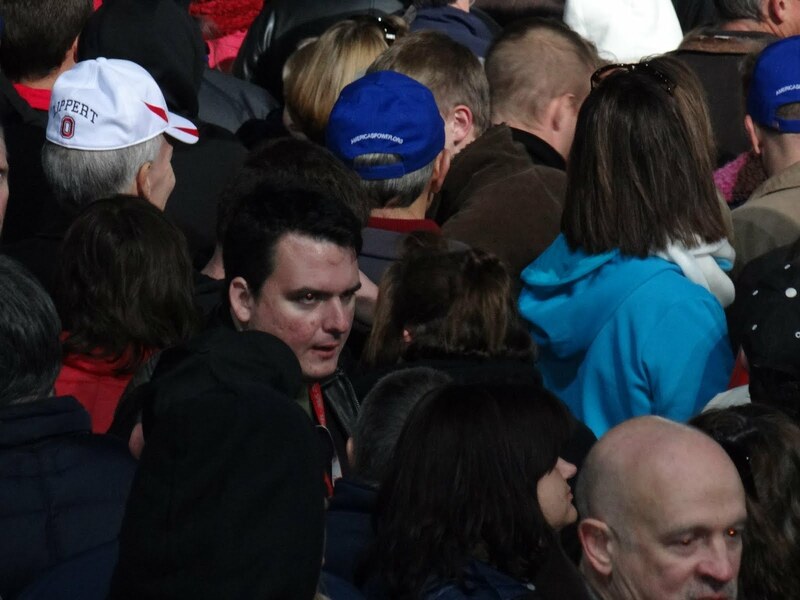 Dave Weigel of Slate amid the crowd, interviewing a Romney supporter. 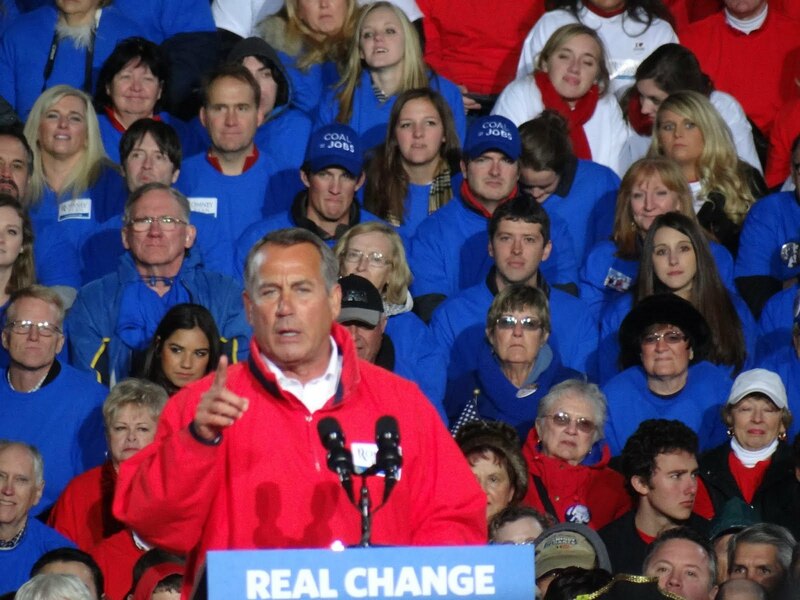 House Speaker John Boehner speaks at the rally in his home district. Butler County just happens to be the largest Republican county in Ohio. 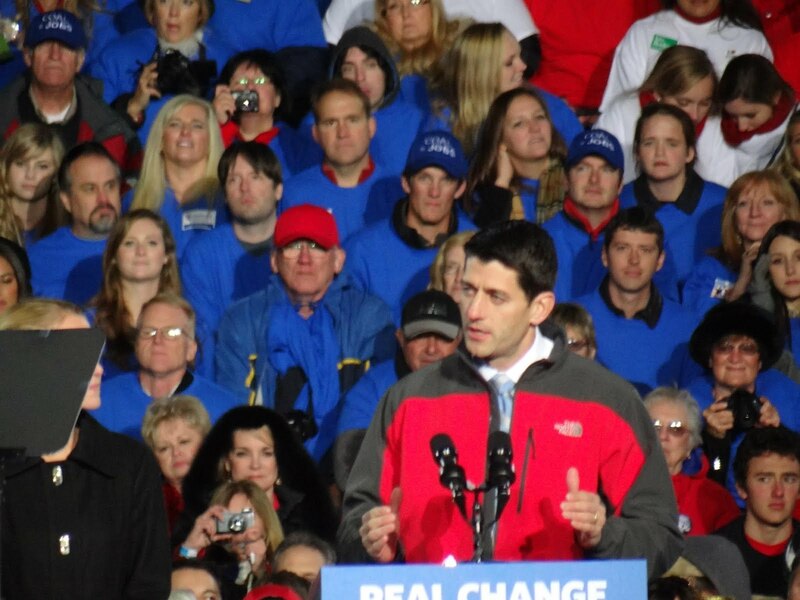 The next Vice President of the United States, Paul Ryan. 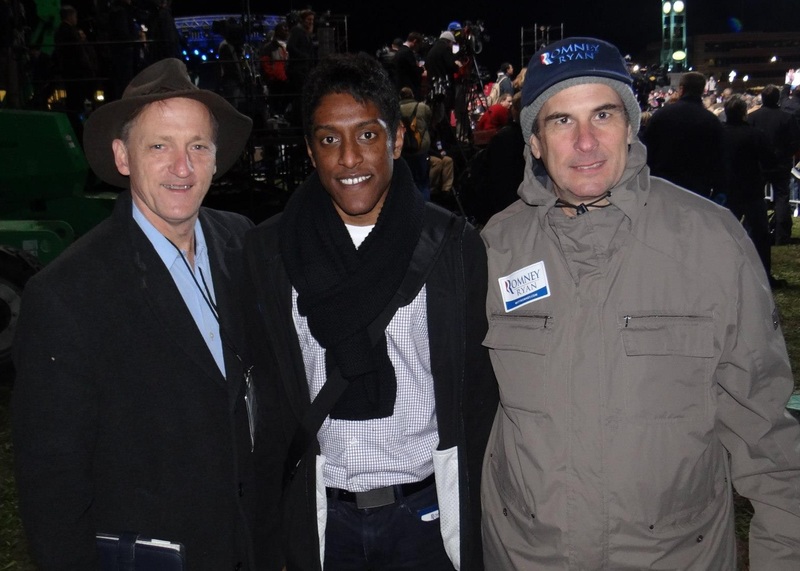 Myself and Ali Akbar with Michael Zak, who blogs at Grand Old Partisan and is author of Back to Basics for the Republican Party. Zak is in Ohio as a volunteer with the RNC’s get-out-the-vote operation, and has been walking precincts and knocking on doors for the GOP. It is also being noted that Obama’s Friday night rally was in the same gym as McCain’s late rally in 2008. He drew 4000, less than McCain. As an aside to set up later ridicule, have you seen Marist’s latest joke Ohio poll, where Obama is up 6 with an electorate of D+9, or nearly DOUBLE the turnout advantage of 2008? I wonder how Natey will weight that one? ROFLMAO. Obama wants you to Vote for Revenge, Romney for Love of Country; and Saturday Links! Why do you not support gay NUPTIALS??? Wow, those wacky pollsters! Keep up those dispatches from Alternate Reality, so we know how it works out for you.